The rooftop apartment is an oasis - private and secure with crystal blue sky and the song of birds in the trees for company. 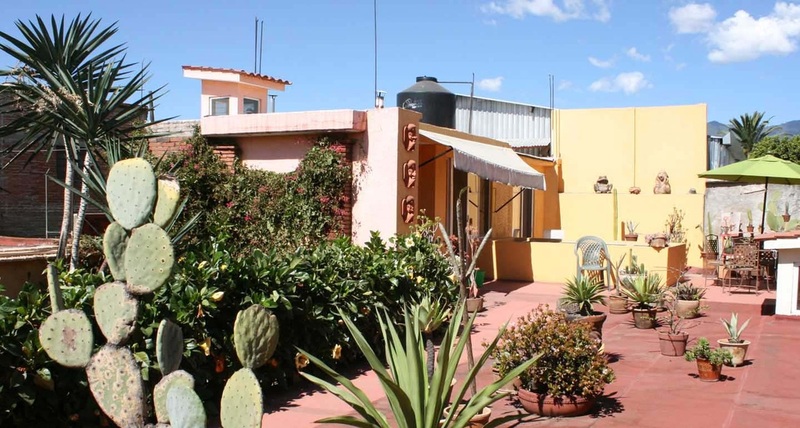 It is an open plan living room and kitchen with one bedroom and a private, tiled bath. The apartment's many windows and sliding doors open onto a private terrace that is home to a notable collection of cacti and succulents. 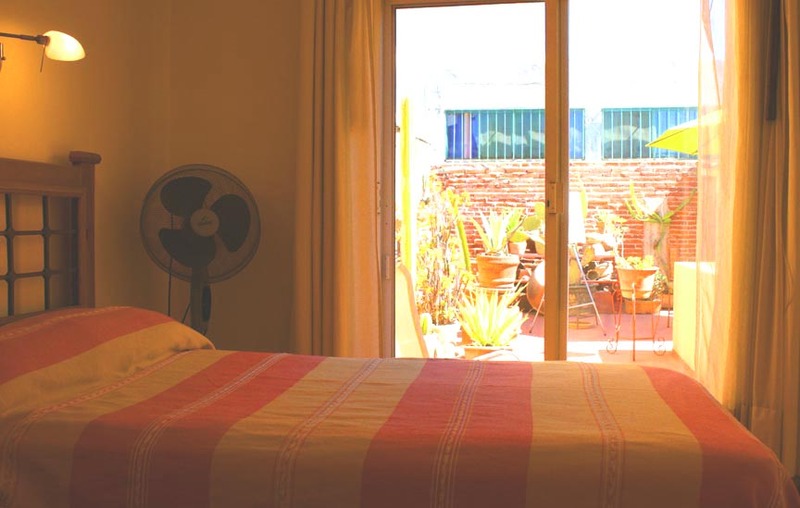 The crafts of Oaxaca surround one inside and out of the apartment and it is a perfect spot for a lengthy stay. 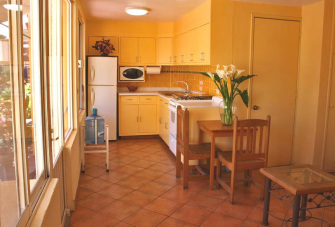 The kitchen is fully equipped with appliances, microwave, toaster, juicer, and all other necessary cookware, dishes, and utensils.There is a small dining table for two and a larger one on the terrace to enjoy meals al fresco. The bedfroom has comfortable twin beds that can be converted into a king-size bed. The bedroom has great reading lamps and a huge floor fan that can be moved about if needed. Evening breezes on the rooftop keep things cooled off during most of the year though. There is telephone and a Wi-Fi connection as well as cable television in the bedroom with English and Spanish channels.